Your tax-deductible donation gives much needed hope to those in need. The Burundi Education Fund Inc. has no employees and pays no salaries. All of our work is performed by volunteers. Over 96% of your gift goes directly to assist each program! All donations are managed through the Catholic Foundation for the Diocese of Green Bay, Green Bay, WI. 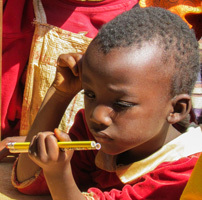 The Burundi Education Fund, Inc is a 501(c)(3) charitable organization. *In 2015, the government imposed severe restrictions on NGOs! The Burundi Education Fund now directs its focus on Burundi refugee students in Rwanda and Uganda. Additionally, students also need school supplies, uniforms, personal hygiene incidentals, etc. For a total of $150, or less than 50 cents per day, YOU can be the difference between poverty and a child’s elementary school education for an entire school year. 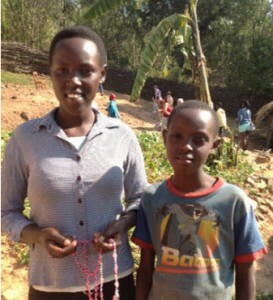 Support the Burundi Education Fund while shopping on Amazon.com. Your everyday purchases will then support Burundi children’s education at no additional cost to you!